Reader Digest recently listed SPRUCE as one of the healthiest foods you can buy in a supermarket today. They ranked our SPRUCE in their Top 50 and we couldn’t agree more. Reader’s Digest is right. 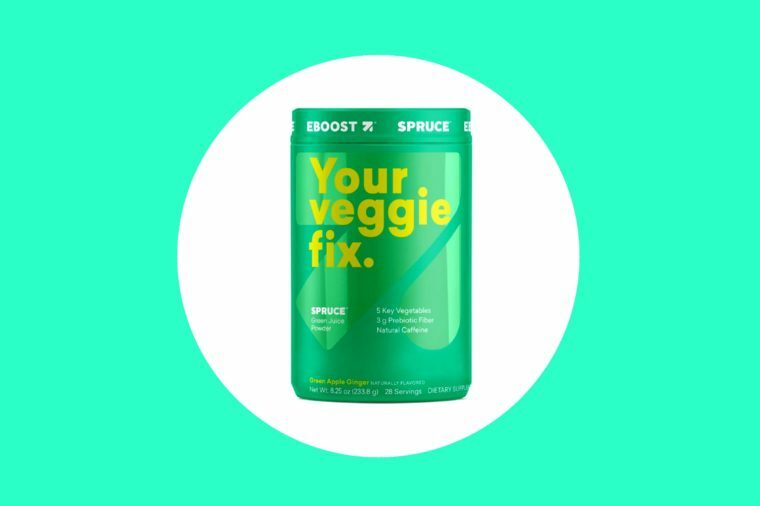 SPRUCE is a great way to get more vegetables into your diet, whether you struggle eating veggies, life gets busy or you just aren’t a fan of veggies. 5 key green vegetables – Made with kale, asparagus, broccoli, spinach, and cabbage, some of the most nutritious greens. 3 g of prebiotic fiber – From organic agave inulin, a dietary fiber that acts as a prebiotic to support intestinal health. Made with Coffeeberry®, a patented ingredient made from 100% coffee fruit, SPRUCE® is rich in antioxidants and delivers 42.5 mg of natural caffeine. We only use freeze-drying and air-drying methods to dehydrate our greens. This process allows us to preserve the nutritional goodness of the veggies. Only moisture has been removed. Tastes delicious with just water and if you aren’t convinced, here is a more creative way on how we like to consume our SPRUCE. Mixing it with unsweetened vanilla almond milk is super tasty too! Lastly, at $1.70/serving, why keep spending over $10 on the same amount of veggies from your local juicery?